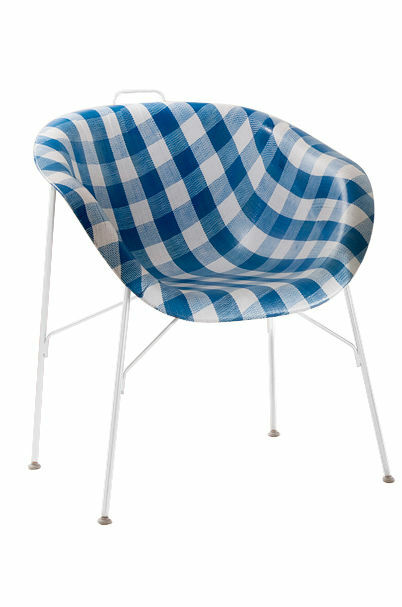 A monocoque chair that arose from the notion of using Woodstock®, a ‘cheap' material that is normally used in the automobile industry, which is 50% material left over from woodworking and 50% polypropylene. The compound is produced in thermoformable sheets, it is extremely flexible and hard wearing, and in the moulding phase it can be matched with all kinds of fabrics (Eumenes patent), making it completely customizable. 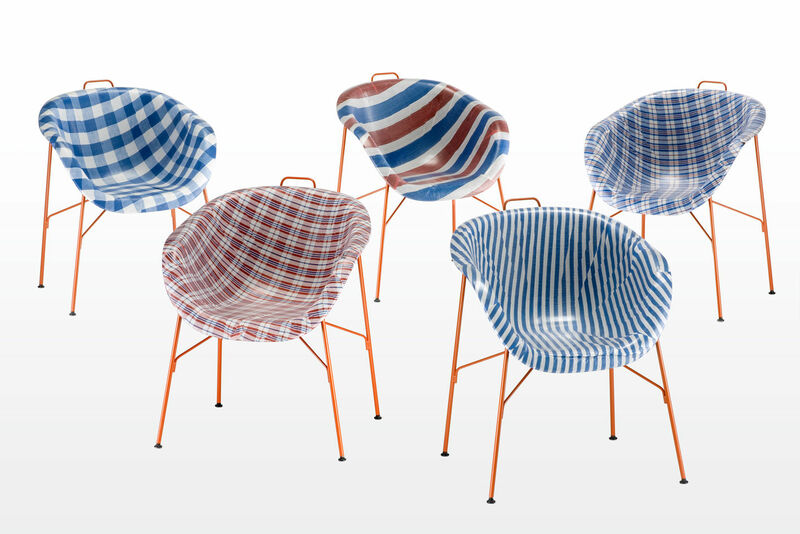 The chair's supporting structure, in painted metal, comes in seven different colour options. Combinations can also be made by matching the supporting frame in the desired colour with any covering from the range. 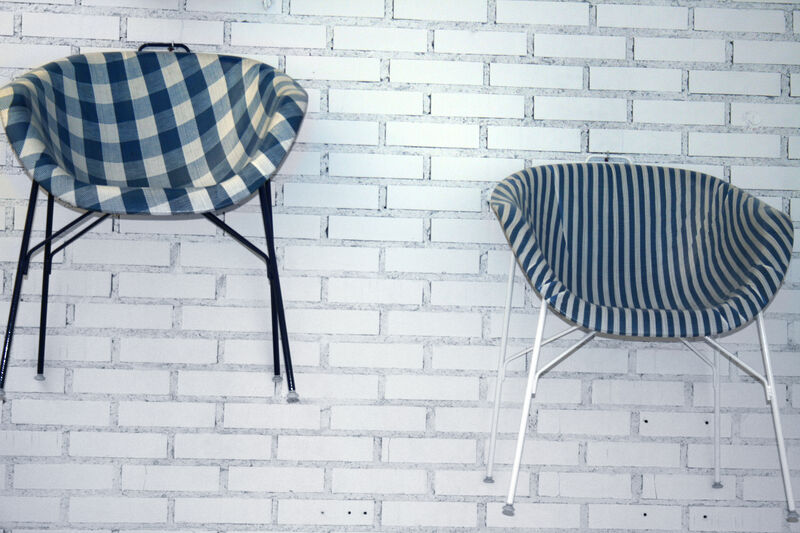 Matching the colour of the seat to the supporting structure yields a completely different look each time.